– Practice asking and answering questions using present continuous. – Practice talking about ongoing processes using present continuous. Jobs – Every Day / Now (12 cards) – What do they do every day? What are they doing now? I am leaving tomorrow morning. (I have got a ticket) – the action is not ongoing now. Thanks for your comment. I mean that when we use present continuous to talk about the present, we only use it with ongoing actions. I could have made that clearer though. 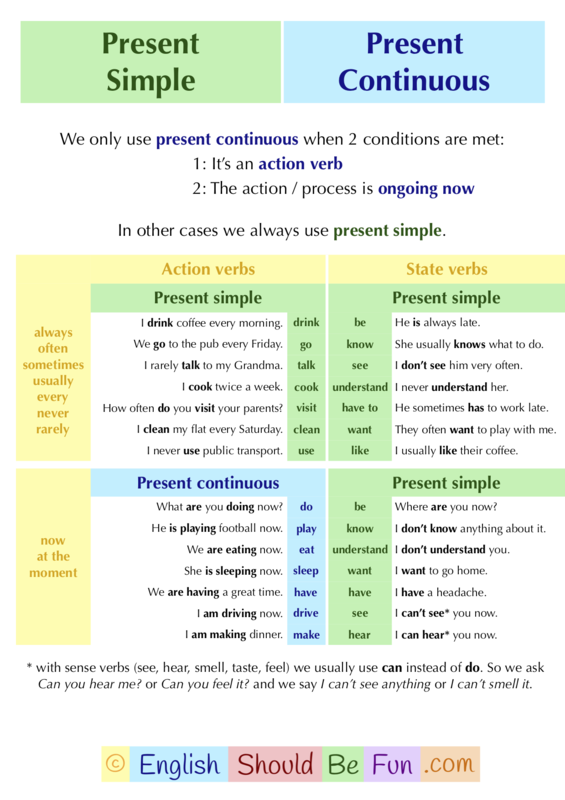 If you’re interested, there are tasks to practice present continuous for future arrangements here.